Repair a leaky faucet in no time! Or simply update the look of your sink with a variety of spray heads, basket strainers, and stoppers. Waxman sink and faucet repair products are available at select retailers nationwide. 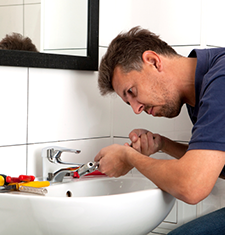 Looking for more detailed information on our collection of sink and faucet repair solutions? Contact us to learn more.